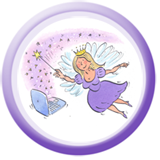 Whatever your needs, I have a hosting plan to suit your business or organisation. Choose from my standard packages below or contact me for a no-obligation quotation if you don’t see what you require. ** Install popular web applications automatically using our web control panel. See “Standard Features” for more details. Instant & Scheduled backups From your comtrol panel you can either schedule a regular automatic backup for later on or creaste an instantly downloadable backup of your site. You can also restore previous backups of your site. Valuable if you are making complicated changes and something goes wrong…..
PHPMyAdmin MySql Management PHPMyAdmin is a powerful web-based interface for managing MySQL databases. Scheduled Tasks / Cronjobs If you have a script or task on your website or application that needs to run at a certain time each day or week, we allow you to use Cronjons to do this. Auto Responders / Out of Office / Vacation Reply These allow you to set up a pre-written supply which will instantly be sent to anyone emailing a set email address. Procmail Advanced users can use Procmail to manipulate, sort and filter incoming email bsed on rules that you create. PHP E-commerce Software Compatible Most e-commerce software writting in PHP and MySQL is compatible with my hosting accounts. Please contact me if you would like to check if specific piece of software will work with my hosting. Suppoer all major payment gateways My hosting service supports all major payment gateways. You will be able to use Protx, HSBC, 2checkout, Paypal and many others to accept secure payments from websites hosted with me. MySQL Databases MySQL databases are easily created, managed and deleted from your control panel. PHP5 I provide the latest PHP5 and run your own secure install of PHP, meaning you have full access to php.ini to make any necessary changes. This installation is far more secure than other traditional shared hosting. CGI CGI is provided for your site, with its own cgi-bin for running your scripts securely. SSI Server Side Includes(SSI) are fully supported and allow you to place includes in your webpage templates which are processed by the server when someone views your website. Custom Error Pages You can create custom Error pages to replace the default ones. Streaming Audio and Video Upload Audio and Video files to your website and allow visitors to view, listen or download multimedia files. Access to 4xDaily offsite backup The backup system take backups 4 times a day of all your data to a remote location – how’s that for peace of mind!? Yes please. That would be great! I'm on all the usual places - see what's going on! Gina Lorenzen Hear! Hear! Thanks you for stating the obvious!